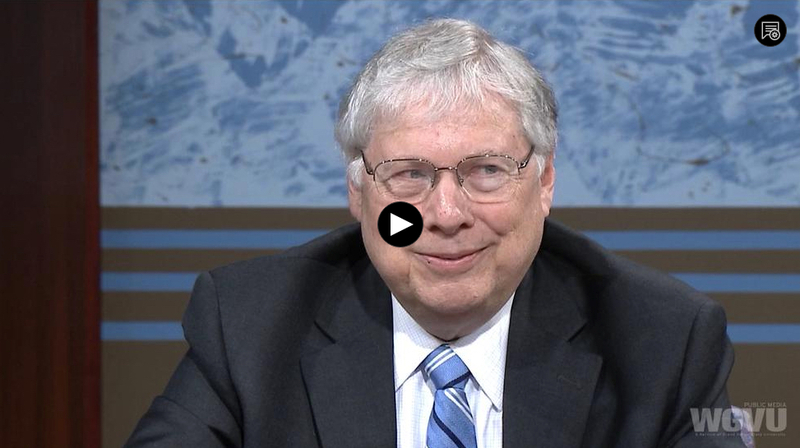 Michigan Future Schools - Michigan Future Inc. The goal of the founding funders and Michigan Future, Inc. is to create new high schools at scale in Detroit and its inner ring suburbs to substantially increase the number of low income and/or minority students attending high quality schools. MFI starts with grants from four local foundations of more than thirteen million dollars that will allow it to help launch seven new high schools over the next three years. MFI and its funders are committed to raising the funds to reach its goal of thirty five high schools in next eight years. Schools will be chosen through an annual competition. The initiative – Michigan Future Schools – is designed to work with traditional public school districts, charter schools and private schools. Its focus is on quality, not governance or location. It will only work with new schools. And only with schools it believes have a high likelihood of meeting its student achievement expectations. MFI expects that all students enrolled in the high schools it supports will succeed in college. It has committed to its funders that at least 85% of each school’s students will graduate from high school, of those graduates at least 85% will enroll in college and of those who enroll at least 85% will earn a college degree. 8. Continuous improvement. Driven by a commitment to all students succeeding in college, constantly adjusting teaching and learning to improve student achievement. • if applicable, union agreements that allow for open hiring, no bumping into the school, and work rule flexibility that allows for innovative approaches to teaching and learning. • to participate in the small high school learning network co-convened by MFI and the Skillman Foundation. 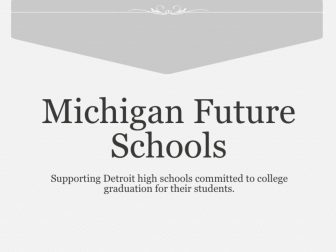 In 2009, Michigan Future, Inc. (MFI) established a high school accelerator – Michigan Future Schools (MFS) – with the support of the W.K. Kellogg Foundation, the Skillman Foundation, the Kresge Foundation and the McGregor Fund. (Later the Michigan Education Excellence Foundation joined as a funder). The goal was to help launch new high schools at scale that substantially increased the proportion of Detroit students graduating from high school college-ready and ultimately earning college degrees. MFS was designed to be governance neutral. We didn’t care whether the schools we invested in were traditional public schools, charter schools or independent schools. MFI established as its primary metric our 85/85/85 goal: 85 percent of students at its high schools will graduate from high school, of those graduates at least 85 percent will enroll in college, and of those who enroll at least 85 percent will earn a college degree. From inception to wind-down, MFS held this high bar for its schools. The steadfast goal of Detroit high schools graduating students who earned either a two year or four year drove the work of MFS to improve the design and delivery of teaching and learning. 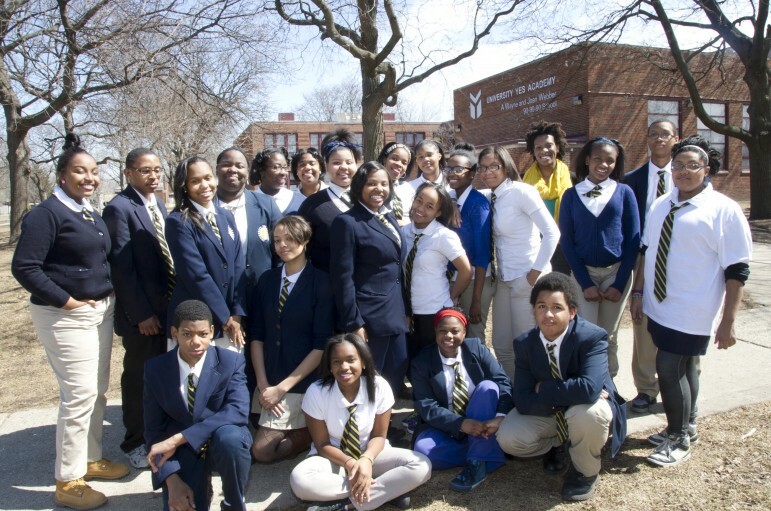 Before the program ended on June 30, 2016, MFS supported the launch of 11 open-enrollment high schools in Detroit––nine charter and two DPS––and provided around $800,000 of funding for each school. Additionally, MFS staff provided vital capacity building supports to help high school leaders understand college-readiness and design high schools intended to meet the 85/85/85 goal. Students who attend the seven schools that MFS worked with in its final year are on track to get high graduation rates and college attendance rates. None of the schools have existed long enough to have college graduates, but we expect that the MFS schools that have students enrolled in college will achieve 20-30 percent college graduation rates. While this is higher than the average rate for open enrollment schools in Detroit, it is sadly a far cry from our aspirational goal of 85 percent. MFS began with an emphasis that a student’s ACT/SAT score was the most important predictor of college-readiness. But in the course of our work, we learned much from national research, the experience of the highest performing charter networks, and our higher education partners. We are now convinced that college-readiness is much more than an ACT or SAT score. In fact, some of the other cognitive and noncognitive skills a student must develop to be college-ready matter more. To be able to do college-level writing. High schools must succeed in developing all of these aspects in their students for them to have a good chance of earning a college degree. Additionally, high schools must help their students match and enroll at the colleges where they are most likely to succeed and do not require parent plus loans and provide support to their alumni to help them earn a college degree. Much of our research is reflected in a set of written e-books, which are included below. In addition to books about School Operations and Student Recruitment and Retention (which are necessary foundations in the competitive, school choice environment in Michigan), we created resources in each of the areas of our MFS Matrix. We believe educators, school leaders, and all those interested in improving educational outcomes, especially for low income and minority students, may find something of interest here. If you have any questions or would like additional information, please contact Sarah Szurpicki at sarah@michiganfuture.org. What do alumni of Detroit high schools struggle with in college? In 2017-2018, we administered a “book scholarship” that allowed us to collect and analyze college performance data from 133 alumni of three different Detroit high schools. The report suggests that Detroit high schools can do more, especially around teaching with rigor, cultivating academic habits, and fostering cultural preparedness, to help their students be successful in college. We also found that schools’ qualitative assessments of student “agency”–behaviors that demonstrate a student has ownership over her education–is strongly correlated to student success. Finally, there is a real difference in how Detroit alumni do in different college environments. Good college counseling should take these differences in colleges into account. View our presentation on the MFS Matrix for College Success – a framework we developed that describes the capacities that students need to be successful in college, and how schools might develop those capacities. The presentation includes the research we leaned on to develop the framework, as well as the metrics schools could use to assess whether they are developing those capacities in students. MFS shares one of the central conclusions of its work, which is that Detroit schools will not achieve breakthrough success for their students unless we build high-quality central offices. We share the characteristics and actions of strong central offices focused on post-secondary success, and include ideas for how those in the educational landscape of Detroit can contribute. Read a narrative report on Michigan Future Schools that we prepared for the W.K. Kellogg Foundation. It includes a summary of the project, lessons learned, progress toward goals and more.